A pair of overnight checkpoints in the East Village and Mission Bay Park that wrapped up early Sunday netted 23 suspected drunken driving arrests. 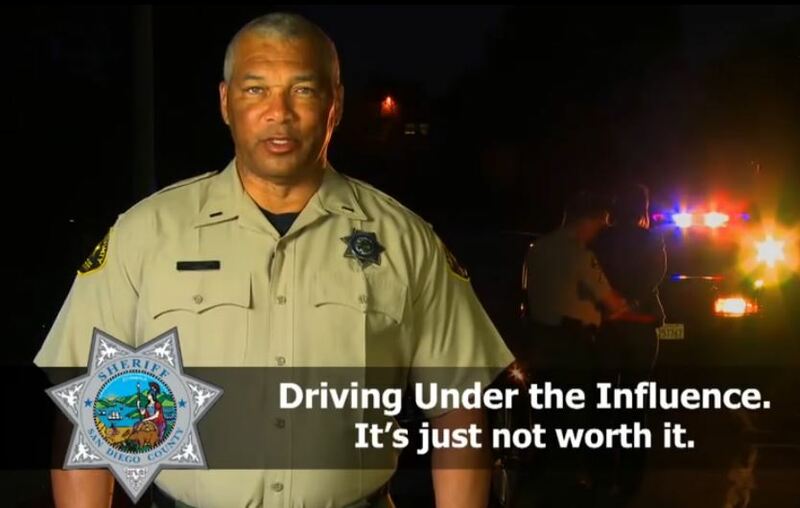 Public service message from Sheriff’s Department. Both checkpoints at 14th and G streets and on Mission Bay Drive near Interstate 5 were operational from 11:15 p.m. Saturday to 3 a.m. Sunday, according to San Diego police Officer Mark McCullough. Nearly 1,800 vehicles passed through the downtown checkpoint, and 880 drivers were screened. Officers detained 24 drivers for further evaluation and made 10 suspected drunken driving arrests at or near the checkpoint, McCullough said. Police officers screened 772 of the 1,917 drivers who passed through the Mission Bay Park checkpoint, with 16 of those held for further evaluation. On or near that checkpoint, 13 people were arrested on suspicion of driving under the influence, McCullough said. The checkpoints were funded by a grant from the California Office of Traffic Safety.